AVVA HAS A NEW ADDRESS FOR MEMBERSHIP APPLICATIONS AND RENEWALS!!! If your applications are not sent to this address they will be returned to you as "Undeliverable". We have sent out notices to every venue we have access to. Please make note of this change. This webinar will discuss trends in caregiving for veterans, VA’s caregiver benefits, and policy changes needed to expand coverage of this VA benefit.The Webinar is being held on Wednesday May 7, from 3:00pm to 4:00pm Eastern Time. CHAPTER AND STATE ELECTIONS DUE THIS YEAR! State level elections are due this year, between January 1 and June 30. ALSO, Chapter elections for many Chapters are due this year. Incorporated Chapter Elections are held in APRIL of even numbered years, and at the current time some Unincorporated Chapters will also be due this APRIL. If your election is due this year, please be sure that you hold the election following all the correct policies. P&P Section 5. (State elections are found in sections 5.III, 5.IV, and 5.V - Chapter elections are found in sections 5.VIII and 5.X ). You can find all of the Election Forms needed on the Forms Page of this website. Good luck, and remember: You will only have the option of being represented at National Conventions and State Level Elections if you have a duly elected Representatives or Officers! We should first explain that the VVA Leadership Conference name was changed by the National Board of Directors this past January. The new name for this event is: National Leadership and Education Conference. The reason for this change is that the intention of the Conference is now leaning more toward providing educational seminars for all of our members, rather than just tools for current leaders. 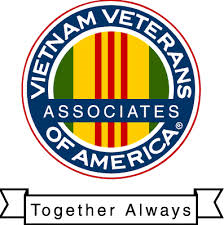 There will be many seminars offered by both VVA and AVVA that will help our membership become prepared to take on leadership roles in both organizations, as well as to effectively continue those offices you may already have been elected to. This year, the conference is to be held in Wichita, Kansas, August 5th through 10th. We will be at the Hyatt Regency, Wichita: 400 West Waterman, Wichita, KS. For details regarding hotel reservations, conference registration, agendas and lists of seminars, please keep in touch with this website, or with the VVA website Events page. SHOP.COM - AN AVVA FUNDRAISING SOURCE! Click here, to learn how AVVA's Shop.com portal can make money for you, AND for AVVA. Copyright © 2014 Associates of Vietnam Veterans of America. All rights reserved.